Baroque has bounced back on the scene and it's bigger and better than ever. 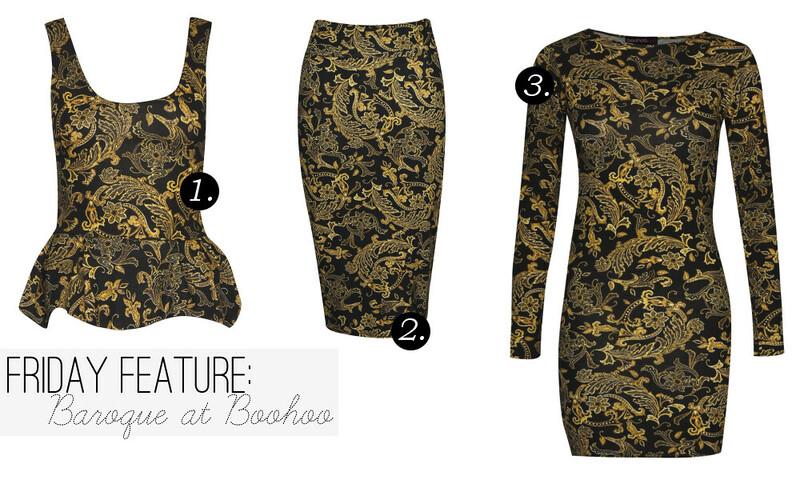 Boohoo has every baroque base covered from everyday basics to more elegant ensembles. 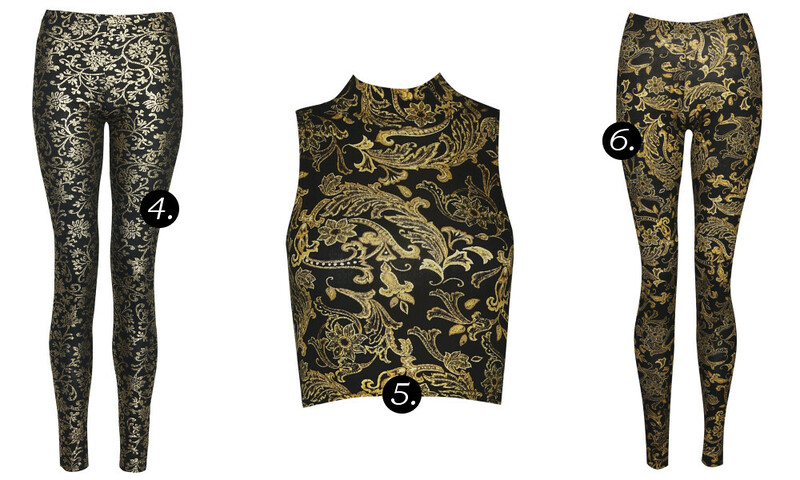 The opulent design is complimented by rich tones like black and gold. Team yours with a chunky knit for daytime dressing down and then switch up your look with a baroque clutch and sky high heels for going out glam. If you're new to the Baroque Brigade, invest in classic pieces to dip your toe into the trend. Peplum is everywhere this season and a pencil skirt is a great way to incorporate the print into your working wardrobve. And this long sleeved dress is perfect for the cooler temperatures and can be easily dressed up and down for a multi-wearable look. Another popular piece this season is the high neck crop top. If you're brave enough to double your baroque dose - team with matching leggings for effortlessly cool. Finish the look with classic patent black heels and a leather jacket. And finally, these three pieces nail night out to a tee. 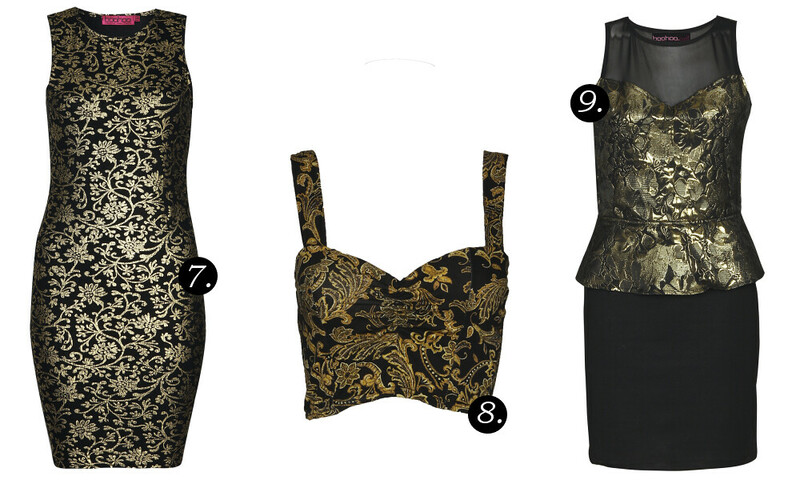 A bralet is the quickest way to update a casual skirt or shorts and this baroque version is no exception. Or if you're more into your dresses a la Blair Waldorf, try one of these two. Combining multiple trends in one - high neck, peplum silhouette and mesh panelling - not only can you can look super stylish but you'll be totally on trend too!